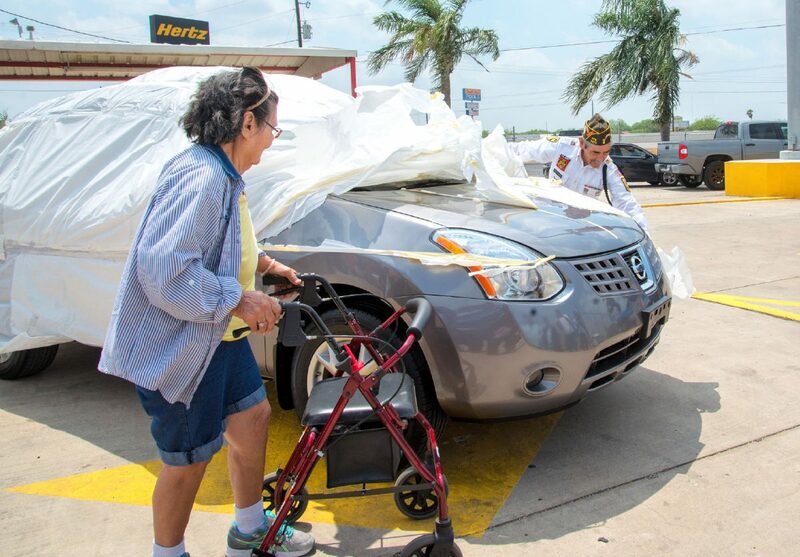 LA FERIA — When Federico Martinez showed up to a Memorial Day event Friday morning, he didn’t realize it was being held for him; in the end, he was surrounded by family and friends congratulating him on his new car. 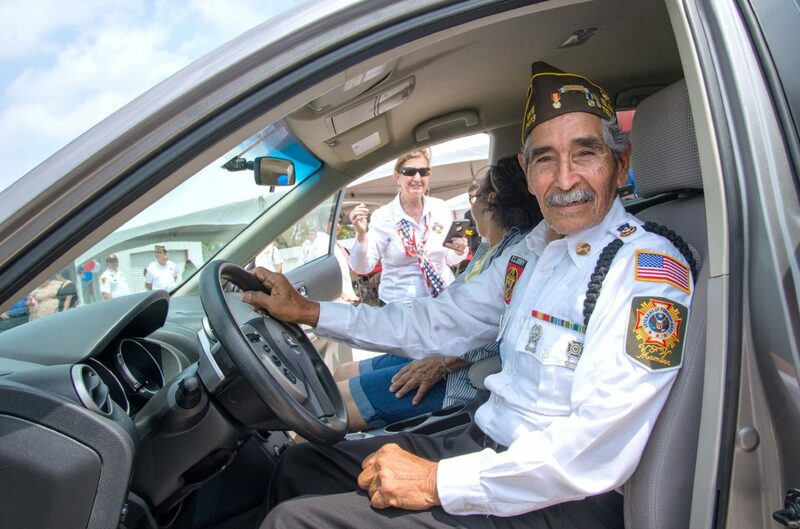 Martinez, a veteran of the Korean War and the Cold War, was surprised with a refurbished 2008 Nissan Rogue as part of the Recycled Rides Program. The program is a nationwide collaboration between insurance companies, collision repair shops, paint suppliers and parts vendors that work together to donate a vehicle to a family in need. 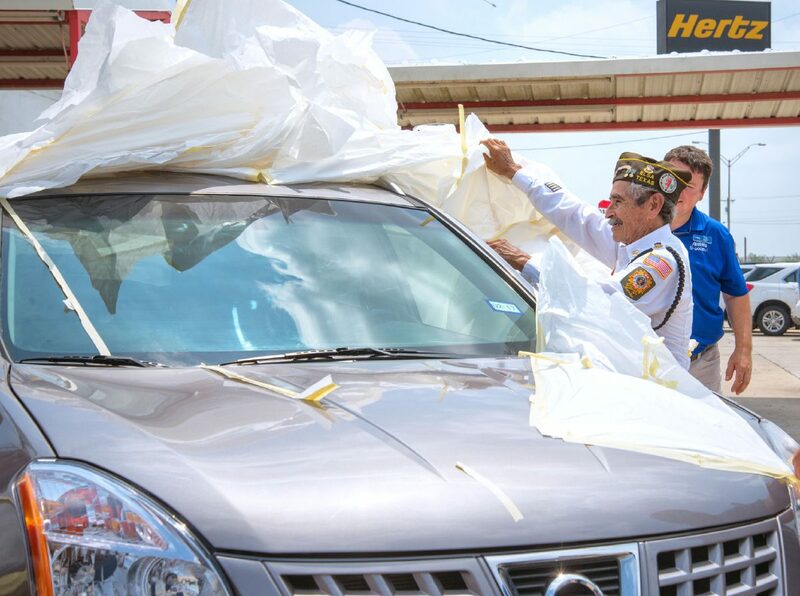 Federico Martinez unwraps a 2008 Nissan Rouge he was presented yesterday through the National Auto body Council's Recycled Rides Program. Various agencies and businesses took part in the recycling of the vehicle. 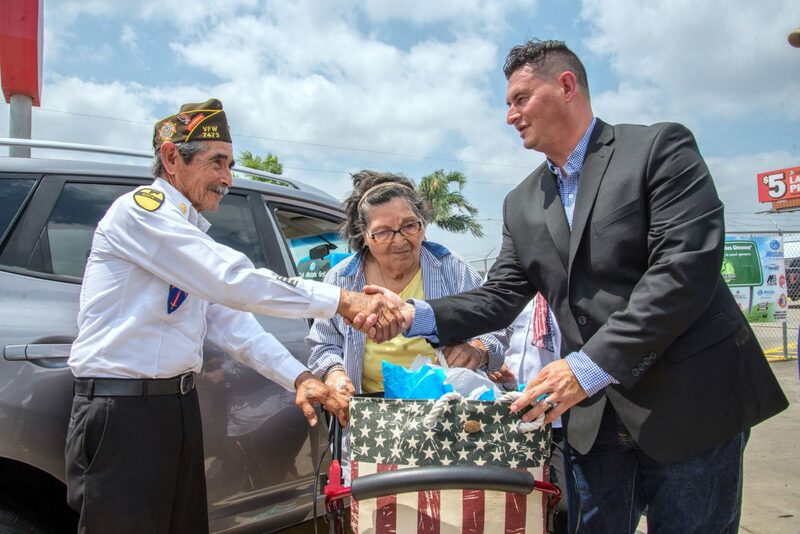 Veteran Federico Martinez was surprised when his name was called out as the car recipient of the 2017 National Auto Body Council's Recycled Rides Program held at Collision Stop in La Feria. 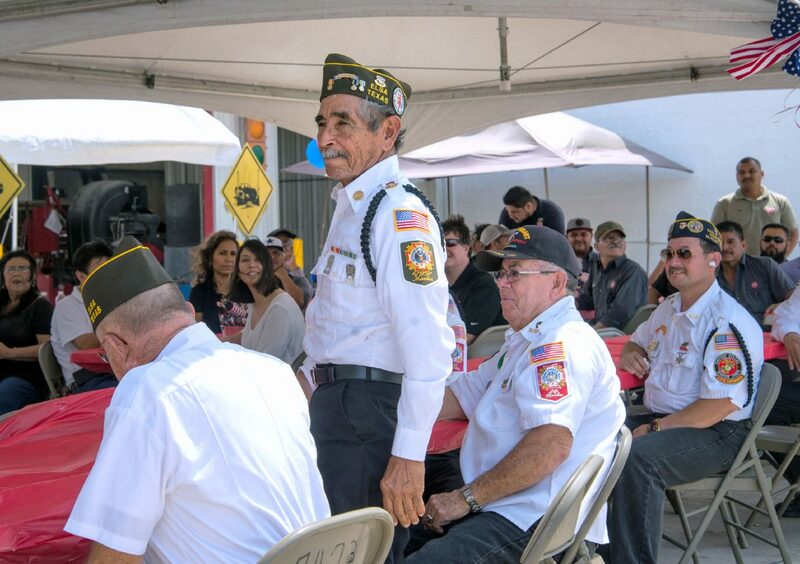 Martinez is a member of the Elsa VFW Post 7473 Color Guard. Teodomira I. Martinez looks on as her husband Federico Martinez unwraps a 2008 Nissan Rouge he was presented yesterday through the National Auto body Council's Recycled Rides Program. Various agencies and businesses took part in the recycling of the vehicle. Martinez, of Elsa, was chosen because his car broke down and has had to use borrow his daughter’s car to drive his wife, who suffered an aneurism, to see the doctor. The vehicle that was given to Martinez was donated by Allstate. The car had extensive hail damage but was otherwise in good condition. Mid Valley Collision Stop worked for about a year on repairing the vehicle which came to about $7,000 worth of repairs, labor, paint and parts, according to owner Aaron D. Mendez Jr.
Collision Stop has participated in the program for about five years, each year gifting a car to a family in dire need. This year they decided to go with a veteran. They worked with the Veterans of Foreign Wars who were tasked with selecting the recipient. Lupita Perez, post commander with the Veterans of Foreign Wars in Elsa, said they solicited nominations from 93 different entities and they themselves nominated one person.